Just today on Twitter i saw this post saying that they are going to launch a new website called Buharicentre, so my questions is this president Buhari’s campaign website or what? They said their goal is To showcase the giant strides the President Buhari Administration has achieved so far, so to explain his vision and policy direction in a manner that enhances understanding and promotes acceptance and believability. Our website http://buharicentre.com will be launched in less than 10 hours. Expect a well designed website filled up with tons of verified achievements of the administration of President Muhammadu Buhari. We are so excited, are you? 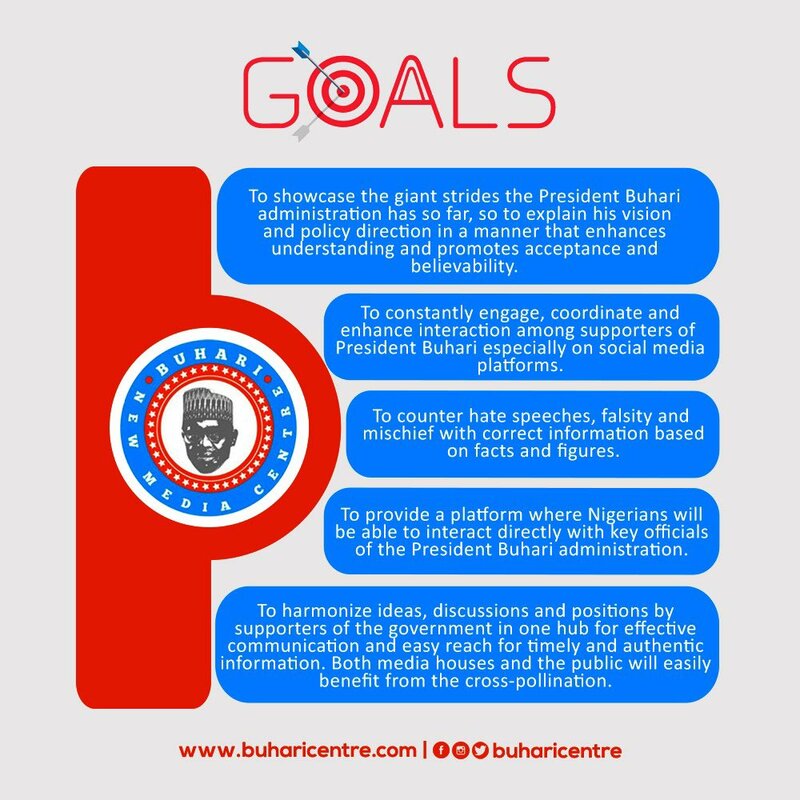 Kindly follow us @BuhariCentre! Our website https://t.co/y6WGovd7Ei will be launched in less than 10 hours. Expect a well designed website filled up with tons of verified achievements of the administration of President Muhammadu Buhari. We are so excited, are you? Their STAND: The primary target audience of the Buhari New Media Centre is Nigerians, home and in the Diaspora. And our wider target is the globe since the interest in Nigeria is beyond our borders.